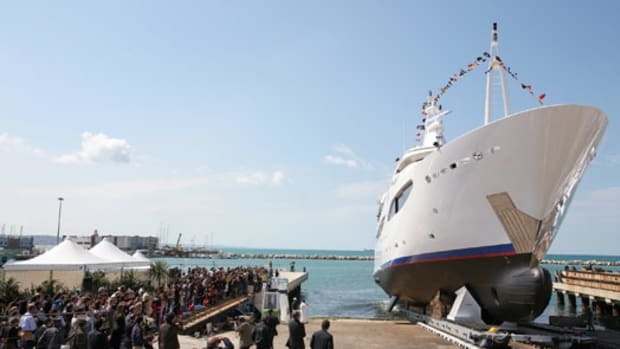 In April the 230-foot Martha Ann was handed over to her American owner, who&apos;s offering her for charter this summer in the Med. The yacht, which went by the project name Shark during construction, has a few outstanding features, such as a sports bar, complete with large TV, of course. (No doubt that was put to good use during the European soccer matches in June.) There&apos;s also a pool with an integrated bar on the upper deck and a 1,400-square-foot owner&apos;s suite. Martha Ann even has a stateroom ideal for kids or nannies/staff. Martha Ann&apos;s six decks offer plenty of indoor and outdoor relaxation space. Lrssen still has a few deliveries to make over the next several months. One is Vive La Vie, the project that was code-named Bounty Hunter while under construction. At presstime the 197-footer was receiving her finishing touches, which include styling by Espen Oeino and decor by Artline Interiors. Another upcoming delivery is the project code-named Bermuda, which should be handed over this fall. At 259 feet LOA, she&apos;ll have an interior by Alberto Pinto and styling by Espen Oeino, and projected cruise speed is 17 knots, thanks to twin Caterpillar 3516s. 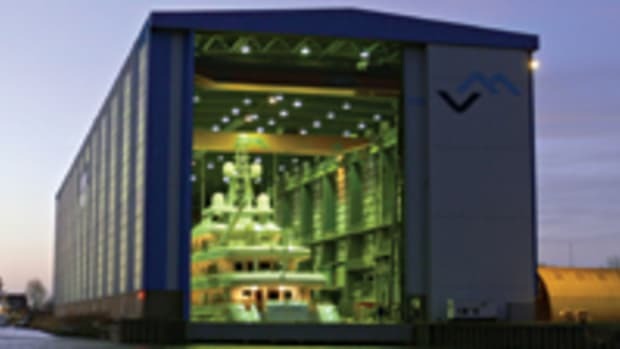 As is the case with many of Lrssen&apos;s projects, full details are confidential. For more information on Lrssen, including contact information, click here. 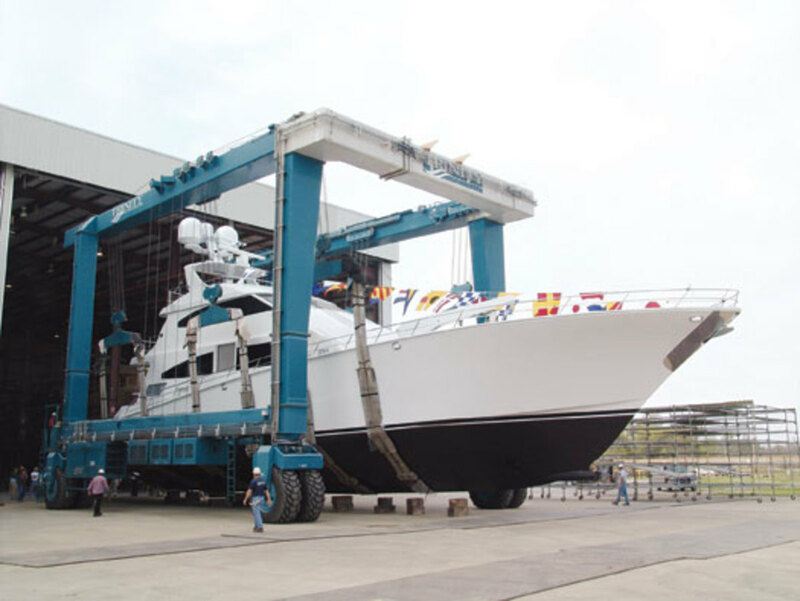 With shipyards in New Orleans and Gulfport, Mississippi, Trinity Yachts has multiple sizes and styles of yachts under construction. Mary P, seen above, marries motoryacht comfort with sportfisherman speed and style. Inside, her galley occupies the entire forward portion of the main deck, while all staterooms, including the owner&apos;s, are on the lower deck. Of course, befitting a proper fishing boat, she has a fighting chair in her teak-decked cockpit. At 122 feet, Mary P is the world&apos;s second-largest sportfisherman. Upcoming deliveries include the all-aluminum Anjilis, for a repeat customer, and Unbridled. 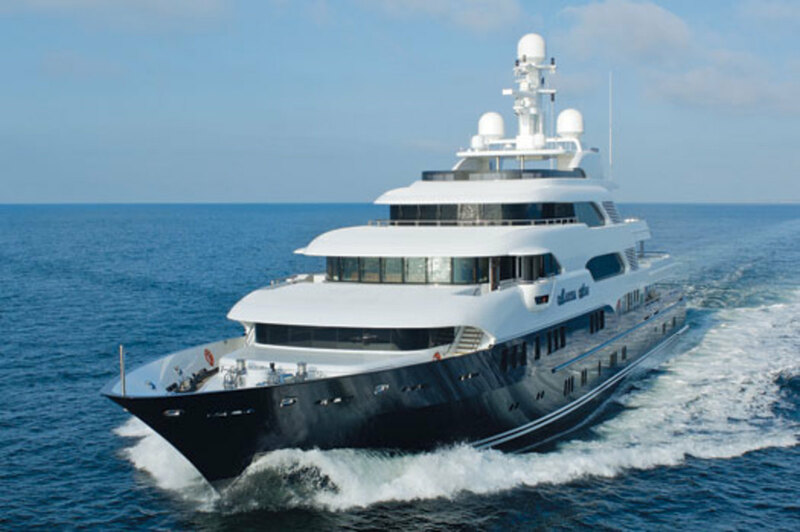 Anjilis is a 161-footer designed by Glade Johnson, while Unbridled is a 191-footer designed by Patrick Knowles. The trideck Anjilis borrows a page from larger megayachts by positioning her engineer&apos;s cabin abaft the engine room, while the rest of the crew are housed fully forward on that deck. Despite what most yachts in her size range feature, Unbridled has just four guest staterooms, though she does situate the owner&apos;s suite forward on the main deck. Expect Trinity&apos;s hull number T040 (the name is being withheld for now), measuring 196 feet and featuring a steel hull, to be delivered next year. She&apos;ll have an interior by Dickie Bannenberg, a first for the yard.